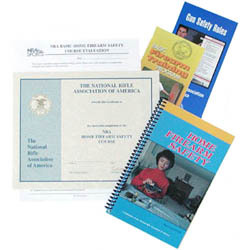 The NRA Basic Personal Protection In The Home Course teaches the basic knowledge, skills, and attitude essential to the safe and efficient use of a handgun for protection of self and family, and to provide information on the law-abiding individual's right to self-defense. This is an eight-hour course. Students should expect to shoot approximately 100 rounds of ammunition. The NRA Basic Personal Protection In The Home Course participants must be law abiding, adults (at least 21 years old), and experienced shooters (shooters able to show mastery of the basic skills of safe gun handling, shooting a group, zeroing the firearm, and cleaning the firearm) to maximize what can be learned from this course.